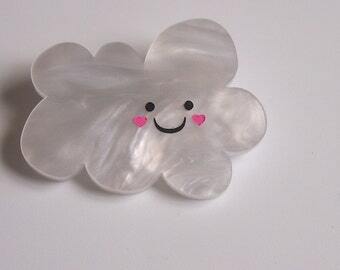 This brooch is a must have for any Spirited Away fan. 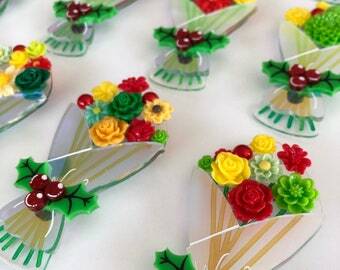 Illustrated and then laser cut and engraved from acrylic, they have been painted and glued together by hand. Every little Soot Sprite is different! 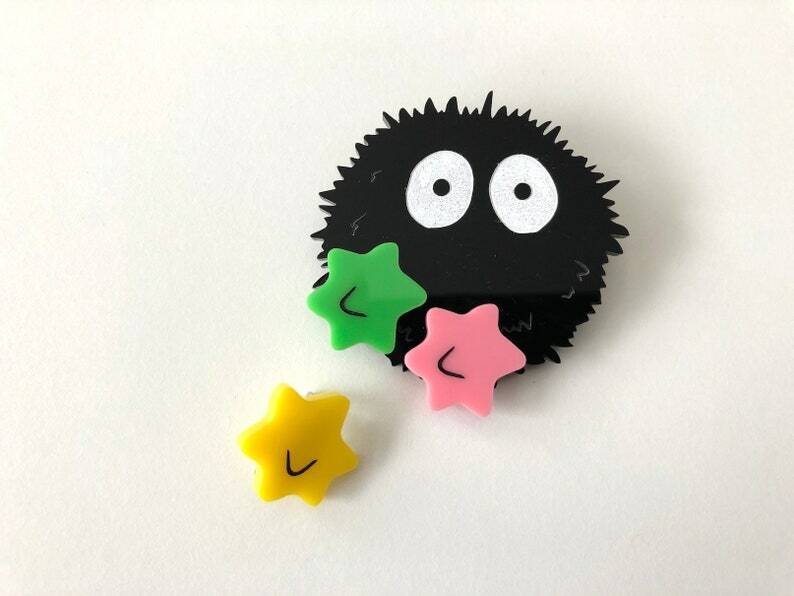 You will receive a Soot Sprite brooch with a matching Candy Star brooch that you can place wherever you like around your Sootball. Each Sootball comes with 3 different coloured candies - pastel pink, green and yellow. They will be placed around your Sootball and glued in random combinations and placements but you will ALWAYS get all three colours. See images for an example of different Sootball combinations. Illustrated and then laser cut and engraved from acrylic, this little Soot Sprite has been then hand painted. 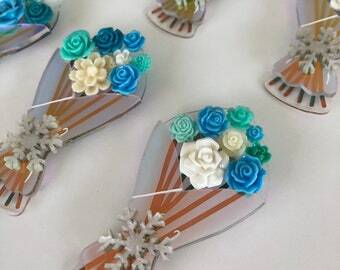 The little candy stars have been painted by hand and glued with industrial strength glue - melting the acrylic together, so they will never come apart! The surgical steel brooch back has been securely attached to the back. It doesn't mind a wee spot of rain, but please don't submerge in water. 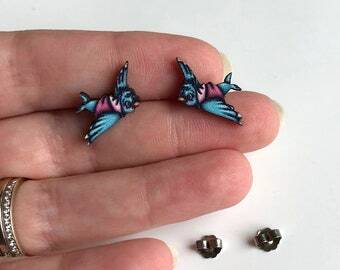 They won't look anywhere near as great when they're wet.